Halloween is just a few weeks away, so to kick-start the celebrations we have compiled a collection of some of the most terrifying, creepy, and gruesome video files we currently have available on VideoHive. The movies, accompanied by their atmospheric soundtracks, have some fantastic elements of traditional horror that will give you some genuine scares. Of course, they are also a great set of video files to help you create your own horror movie as well. Sheriff Brackett, from the original 1978 Halloween film, said: ‘It’s Halloween, everyone’s entitled to one good scare‘. So draw your curtains, turn off the lights, and sit back and prepare to be terrified, this might just be your one good Halloween scare this year. With production taking place inside a real abandon house of tragedy, the 4K shot Dark Matters sets a methodically paced and truly creepy environment for any horror movie. 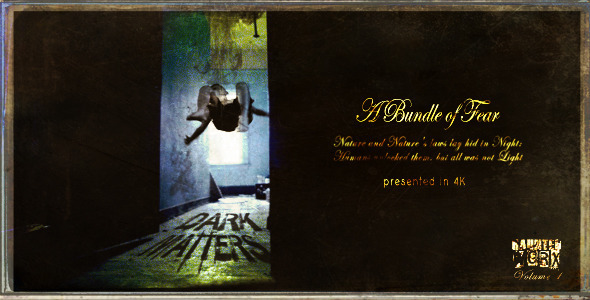 After Effects Project File: Dark Matters: HauntedWorx Collection by Phantazma. Audio/Music: Dark Matters by Mauro Colangelo. The unsettling Faces Of Death is a fully customizable horror/grunge based After Effects project file, and is ideally suited for anything creepy or suspensful. 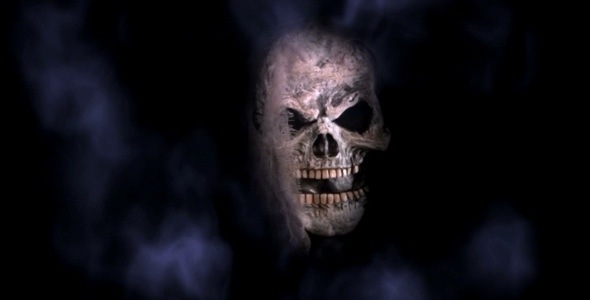 After Effects Project File: Faces Of Death by nemo276. Created for cinematic titles and trailers, Horror Movie is a multi-purpose After Effects project file with high customization potential and fantastic modern horror movie visual appeal. After Effects Project File: Horror Movie by realthing. Audio/Music: Epic Ominous Trailer by Luca Francini. What’s Halloween without some flesh-eating zombies? Grave Encounters is a throwback to the classic zombie films from the 60s and 70s. This bundle was actually shot at Evan’s City cemetery, the location where George Romero shot the classic “Night of The Living Dead”, which kind of makes it a little bit more creepy. 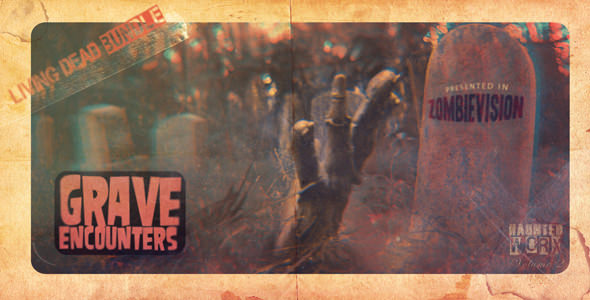 After Effects Project File: Grave Encounters – The Living Dead Bundle by Phantazma. Audio/Music: Grave Encounters by Mauro Colangelo. 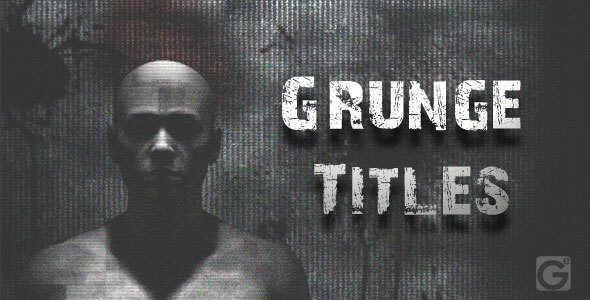 Scary Titles is an eerie and suspenseful type of project that will slowly build the tension of your audience. It would make a great intro for any horror or chiller movie, or even as the titles of a scary documentary. 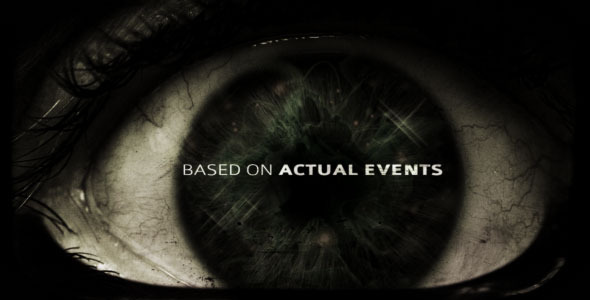 After Effects Project File: Scary Titles by Massfocus. 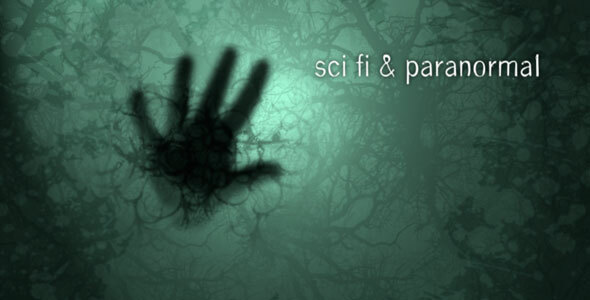 Hollywood Horror is another creepy After Effects project file for adding professional titles to a paranormal or horror movie, tv show or documentary. After Effects Project File: Hollywood Horror by nemo276. Mask Of Death portrays an intimidating and seemingly laughing ghost-like skull, that gently floats in a mysterious and dream-like fog. This file would be perfect as the opening intro or title revealer of any horror related movie. Motion Graphics: Mask Of Death by VideoMagus. Every good horror movie needs a little bit of gore, you know, those splatters of blood, flesh and brains that makes any slasher movies memorable. 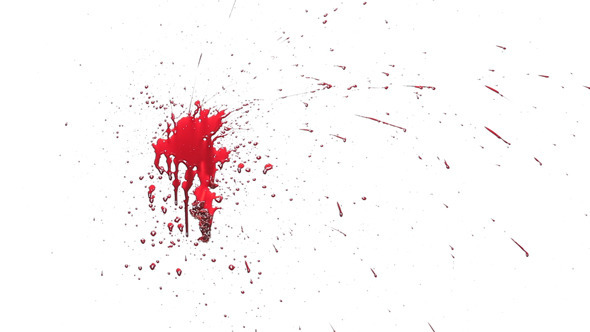 We also have ‘nice’ collection of these splashes/splatters available here: Blood, Flesh and Brain Movie Splashes. Stock Footage: Real Blood And Flesh by Fermu. Thankfully, Expresso Happy Halloween 2 is no where near as creepy or scary as the other video files on this page. As it’s a little bit gentler, it would work nicely as a Happy Halloween greeting on your website or to send via email as your own video ecard. Just type in your Halloween greeting, add your logo and you’ll be good to go. After Effects Project File: Expresso Happy Halloween 2 by expressodesign. Audio/Music: Ebony Omen by ZtarrZound. Halloween doesn’t have to always be scary, it can be hilarious at times as well. VideoMagus has created a Dancing Skeleton motion graphic template that is quite possibly the funniest Halloween-related video resource I have seen this year… but then I discovered the Belly Dancing Skeleton, Halloween just doesn’t get better than that! 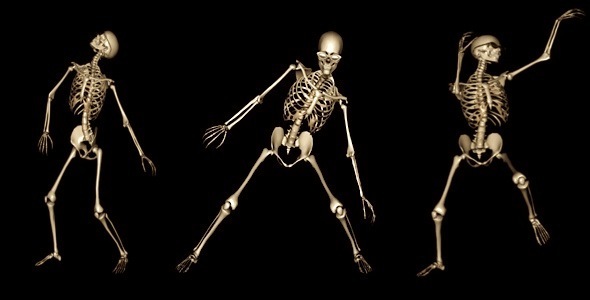 Motion Graphics: Skeleton Funny Dance by VideoMagus. There are couple of amazing Halloween video file collections available from VideoHive, The Halloween Collection for Video Makers and Halloween Video Project Files, GraphicRiver has a great selection of Scary Halloween Flyer Templates, AudioJungle has a huge Halloween SFX collection, and PhotoDune has well over 24,000 Halloween-related images to choose from.